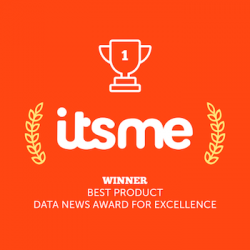 On May 24th, itsme® received the Best Product Data News Award for Excellence. Congratulations to the Belgian Mobile ID team for this prestigious award! Do you want to integrate itsme® into your online services? Do you want to become an itsme® partner? We can assist you.